Edward Phillips Oppenheim is considered one of the originators of the thriller genre, his novels also range from spy thrillers to romance, but all have an undertone of intrigue. This novel is one of E. Phillips Oppenheim’s best works and opens with a fantastic description of the boring life of Mr. Peter Cradd, leather merchant, husband, father, slave to his family, stoic self denier, and all-around put upon man in the bowler hat. He is barely able to pay his bills, has a wife who seems him only as a wallet, and two children whose most favorable opinion of him is disappointment. He answers a letter from a lawyer, and finds out that he has inherited a fortune. What he does with it, where he moves, how he educates himself, and whom he loves form the rest of the story? 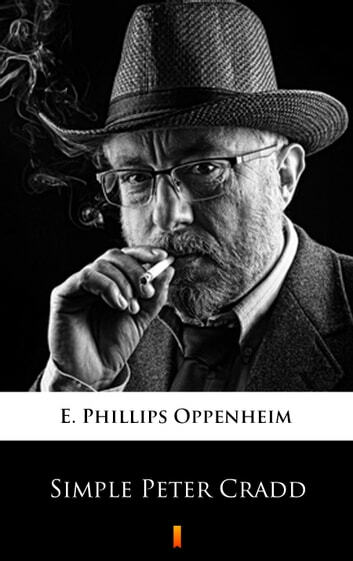 Complete Works of E. Phillips Oppenheim "English Novelist, and Successful Writer of Fiction Including Thrillers"